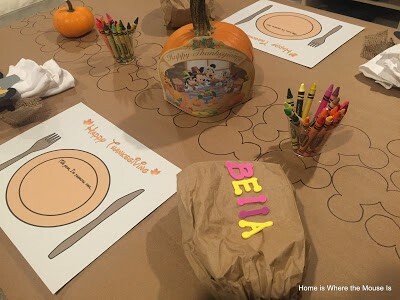 Just because they’re kids, doesn’t mean they don’t deserve a festive table on Thanksgiving. 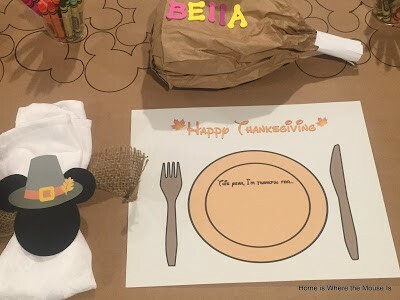 Learn how to create a fun Disney themed Thanksgiving Kids Table. When I was a kid, I used to have to sit at the kids table during the holidays. 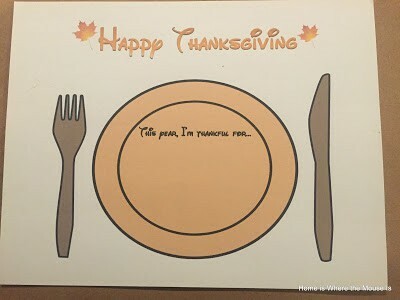 For our family that meant sitting at a fold out card table with my sister and cousins in the middle of my grandma’s living room. While it was fun to have a place just for us, I really did long to someday be invited to sit at the grown up table. We would see the adults, with their fancy dishes and perfectly set table, swapping family stories and laughing it up. Sadly, my day never came to graduate to the grown up table. 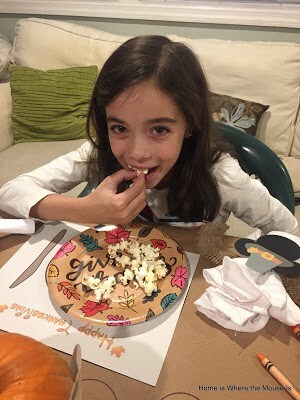 Though having a kids table is a necessity for some families, it doesn’t have to look like Thanksgiving leftovers. 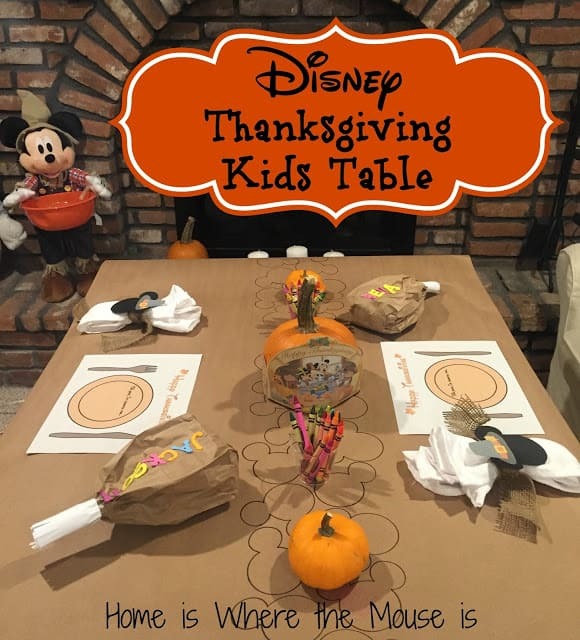 With some fun touches and Disney theming, you can create a kids table that the kids will never want to leave. Protect whichever tabletop you choose to use for your kids table without ruining your fine linens. 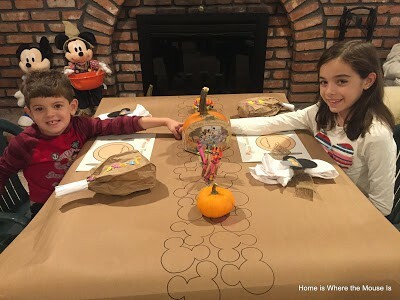 White or brown butcher paper draped over the tabletop will not only protect it, but it will also serve as a canvas for the kids to draw on. 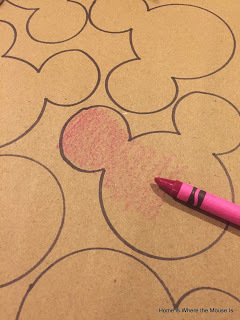 I also stenciled a Mickey head runner for the kids to color in as well. 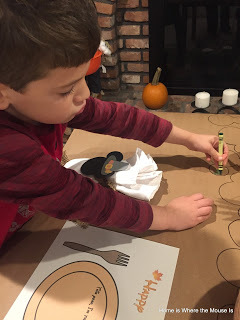 Placemats don’t have to be boring, they can be interactive. I created these in a Word document. 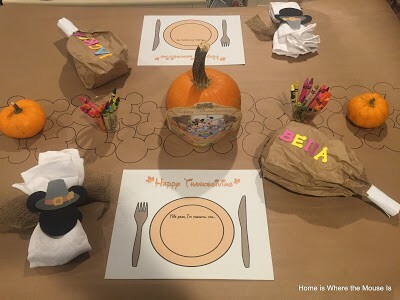 In the center there is a place for the kids to write what they are thankful for this year. There’s also room for them to personalize them with their own designs. You could also laminate them to use year after year. 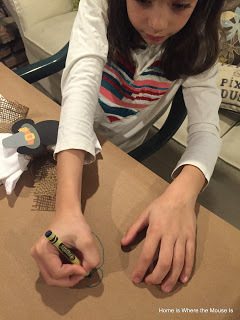 The kids can use dry erase markers to write and draw on the mats. 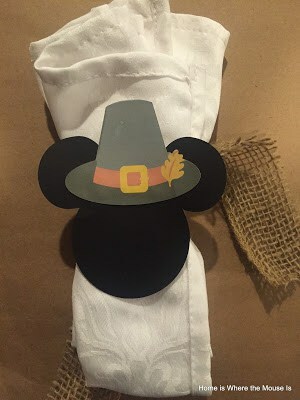 For each place setting, I created a Mickey Pilgrim napkin rings. First, I cut pilgrim hats and Mickey heads using my Cricut Explore. Next, I glued the hats to the Mickey heads. Then the Mickey heads were attached to a piece of burlap. Lastly, I tied the burlap around the napkin. The centerpiece is a simple pumpkin. 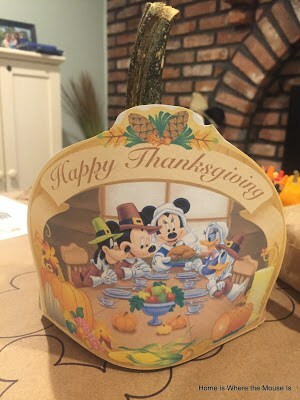 I downloaded a printable from Disney Family to wrap around the pumpkin. On each side there is a cup filled with crayons for coloring. What’s more Disney on Thanksgiving than turkey legs. 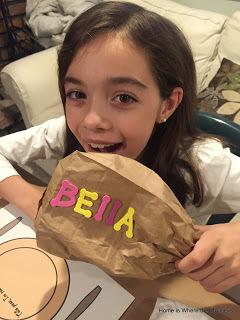 These not only serve as placecards, but are also a fun snack. 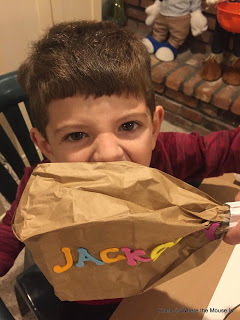 Brown paper bags are filled with popcorn. The ends are taped and capped off with a paper bootie. 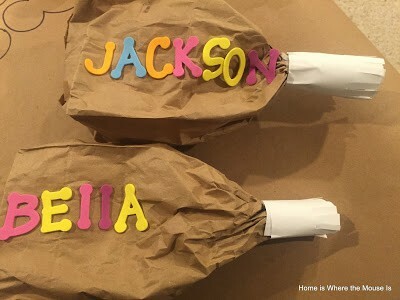 I shaped them into a turkey leg shape before my kids used foam letters to personalize them. 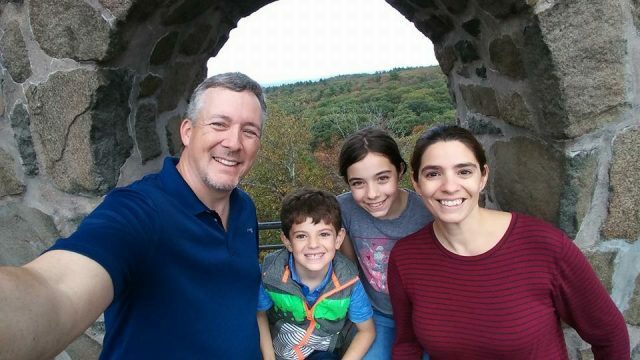 Depending on the age of your kids, you could also include coloring pages, word puzzles and books. Even though they have to sit at the kids table (for now) at least they can have a little fun while they’re there. I may want to give up my seat at the grown up table and join them.